Happy Mardi Gras from COASTAL REALTY GROUP! Come see the Grand Isle Mardi Gras Parade on Sunday, February 15 at 1pm. We will be open at COASTAL REALTY GROUPfor any Grand Isle Camp Sales or Rental inquiries! Feb 15 – Independent Mardi Gras Parade, starts corner of Blackberry & Highway 1, 1:00 p.m. Dates are subject to change. Other events will be added as soon as dates are confirmed. Grand Isle Camps for Rent are available with Re/max Coastal Realty Group. 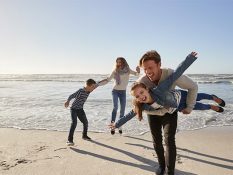 Want to go on a beach vacation close to home? 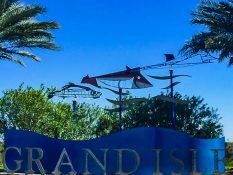 Grand Isle has many rental options including: Beach front, Waterfront, Across from the Beach and inland. Some are close to Bridge side Marina or Sand Dollar Marina for launching your boat in the water. There are several fishing camps for rent. Call today to reserve yours 985-787-3200. There are several Grand Isle Fishing Guides in the area to assist with fishing!! Looking for the perfect Grand Isle Getaway, look no more. It’s the fishermen’s paradise and has numerous fishing spots. Want to spend your Christmas Holidays in Grand Isle, contact us to get a great deal on Grand Isle Rentals! We at Re/max Coastal Realty Group wish everyone a Merry Christmas and a Happy New Year! When searching to buy a Beach front home or Waterfront home, we can help you with your Grand Isle Real Estate! There are several great deals; please call for more info: 985-787-3200. Looking for a getaway? Search no more! Find your Vacation Rentals in Grand Isle with Re/max Coastal Realty Group! Beach view rentals have amazing beach views and sleep up to 34 people. Just steps from the beach and the Gulf of Mexico. We have Waterfront Camp Rentals to choose from also. You can park your boat where you are staying! We can help you find Grand Isle Charters to assist you on a fishing trip. The Grand Isle Beach is 7 miles long of flat beach that gives plenty of room for jogging or building sand castles. The Grand Isle State Park is at the end of the road and has a pier that goes out into the Gulf of Mexico. Book your Grand Isle Rentals with a fishing pier or beach front. Book your long term Grand Isle Rentals with Re/max Coastal Realty Group. Beach front, Water front or Across from the Beach are available for long term or short term Rentals. View our new Rentals on the Grand Isle Market! Beach front, Waterfront or Long Term Rentals are available at low prices! Book your Grand Isle Rentals for the Ladies Fishing Rodeo at Bridge Side Marina. Call 985-637-1615 to reserve Vacation Grand Isle Rentals today! Book your Grand Isle Labor Day Rentals! Redfish Rodeo is at Bridge Side Marina Aug 29, 30, & 31, 2014. Call Re/max Coastal Realty Group at 985-787-3200 to reserve a Grand Isle Camp Rental. Visit: redfishrodeo.com for more details on the rodeo.